(WXYZ) — Drivers in metro Detroit are in agreement that auto insurance rates are way too high. So high, in fact, that many simply can't afford the price tag. Now, Detroit's mayor is pushing to bring those rates down. 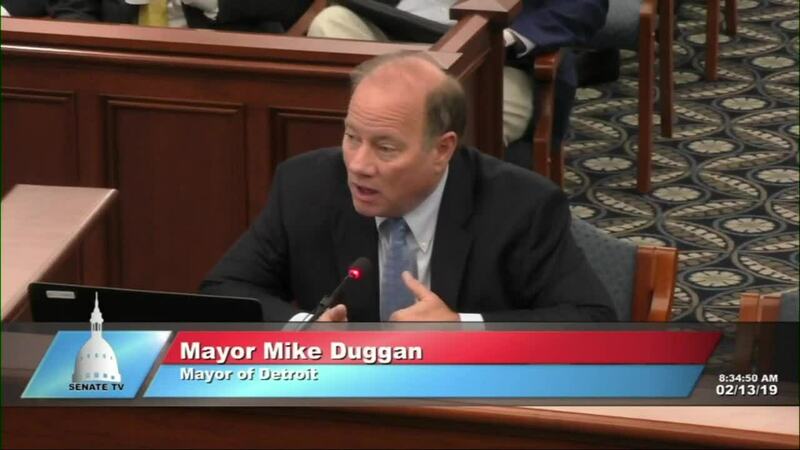 "Somebody who is 25 to 26 years old , just starting out, (is) looking at a $4,000 bill," said Duggan while speaking to lawmakers at the state capital. Drivers like Judy Burris agree. Because of the high rates of insurance, 20 percent of Michigan drivers are uninsured. Duggan's urge for reform is based in large part on changing the laws to allow Michigan drivers to choose their level of coverage. Back in 1972, Michigan lawmakers passed no fault insurance on the promise of lower rates and fewer lawsuits. However, medical costs have exploded and required PIP, or Personal Injury Protection, now makes up 42 percent of Michigan drivers' premiums. Duggan says 91 percent of people in Michigan already have health care, meaning all of them are paying for some level of duplicate health coverage. “It’s just a bigger budget I have to pay for with rent and insurance I’m paying $400 a month,” said Patrick McNamara, a driver. " Currently, 38 other states have no PIP requirement. And Michigan is the only state that still requires unlimited coverage for the rest of your life under PIP to pay expenses in the event of a catastrophic accident. Hospital rates under PIP are also higher than alternative insurance. The bottom line, Duggan says, is the people must be allowed to choose as much insurance as they can afford. As others have said, Duggan is confident the new administration could bring more support for these auto insurance changes. He says he's confident now is the time we can accomplishthat goal.